Get Your Low 20 Yr Rate! Are 20-year fixed mortgage rates right for your refinance? The 20-year refinance is the ultimate “Goldilocks” loan. The terms of this loan land right between the popular 15 and 30-year mortgages, so it gives borrowers the best of both worlds. On the one hand, you get a faster payback period, like you would with a 15-year loan. On the other hand, the 20-year fixed mortgage rates are often lower than that of a 30-year mortgage. While fixed rate mortgage refinancing loans of all terms typically carry extremely attractive rates, a 20-year mortgage is even better than a regular 30-year loan. Since it has a shorter term, it’s considered less risky for most lenders, and they will often give you a lower rate as a reward. Although the amount of money these loans can save you will vary from lender to lender (and based on market conditions), you should be able to find a rate that is between 15 and 25 percent less than a 30-year loan. In other words, if the prevailing rate on a 30-year loan is 4.5 percent, you should be able to lock in an interest rate of between 3.4 and 3.8 percent on a 20-year fixed refinance mortgage. 20-year fixed rate mortgages are also less of a monthly commitment as compared to a 15-year fixed mortgage. Here’s an example of what that means in dollars and cents. If your interest rate is 4.125 percent on a $150,000 balance, you could expect to pay $889 per month with a 20-year mortgage. A 15-year mortgage would likely bring your monthly payment up to $1,063. The difference in monthly payments is $174 – a decent chunk of change. 20-year mortgages are ideal for refinancing. As we mentioned above, 20-year refi rates and programs are the best of both worlds from a borrower’s standpoint. When refinancing, homeowners should strive to get a mortgage that doesn’t add any more time onto their current loan, and also offers fair interest and monthly payments. The 20-year mortgage a great option to achieve these goals. While the safety of a fixed interest rate can be comforting, the disadvantage of a 20-year, fixed rate loan is that the borrowers cannot take advantage of lower interest rates other than by refinancing into a new home. While the interest rate on a 20-year loan is usually lower than a mortgage with a longer loan term, the payments are higher than those of a 30-year fixed rate mortgage because of the shorter time frame in which to pay the loan in full. If you can afford a 15-year fixed rate mortgage as a refinance option, you’ll feel the benefits of a debt-free lifestyle sooner. The advantages of a 20-year fixed rate mortgage, especially when compared to a 30-year, far outweigh the disadvantages. Fixed-rate mortgages generally have the same benefits. You know how long your loan will last, and for what rate your interest will be for the life of your loan. The only difference is the length of loan you decide upon. Another refinance product to consider is an adjustable rate mortgage (ARM). The terms on ARM loans are shorter than most fixed rate products, and they offer very different benefits than fixed rates. Do you know the difference between these two products? A fixed rate mortgage is the best selection f you’re settled into your career, plan to own your home for many years, or just like the security of knowing what your monthly mortgage payment will be each month. An adjustable rate mortgage, on the other hand, begin with a lower interest rate for fixed period of time – usually 3, 5 or 10, then changes. After your pre-determined period of time, your interest rate will either increase or decrease based on the current market value. The benefit of an ARM is that you will pay significantly lower interest at the start of your loan, making your payments more affordable, but there is less certainty about your monthly payments once the fixed rate has expired. If these fit your situation, an ARM could be a better solution than a 20-year fixed rate. When to take out a 20-year refinance mortgage loan? Many personal finance consultants will tell you that you should always take out a shorter mortgage if you can afford it. After all, the sooner that you can pay off your home, the sooner you will be able to use the money that you spend on your monthly principal and interest payments for something else. At the same time, though, they will also argue that having a high fixed mortgage payment can be a hardship if you lose your job or have some other reduction in income. If you’re overextending yourself, you’ll need to put a lot of thought into the refinance program you select. What will make you feel more financially secure? If you are looking at refinancing a 30-year mortgage that was taken out 5 years ago or longer, a 20-year mortgage is a particularly good idea. It wasn’t too long ago, mortgage interest rates were over eight percent. Current mortgage rates are well below eight percent – which makes 15-year mortgage rates and programs even more attractive. Between the benefit you get from lowering your rate, and the benefit of having a lower payment because you start with a lower mortgage amount, going to a 20-year mortgage could not only get your house paid off more quickly but also save you money every month. One last example: if you took out a $200,000 loan at the prevailing average rate of 6.4 percent ten years ago, in the middle of 2007, your payment would have been $1251. Today, if you refinanced your $187,005 balance at 3.5 percent for 20 years, you would have a payment of $1085. In other words, you could pay your house off five years sooner than you originally planned, and reduce your monthly mortgage payment by around 15 percent, putting an extra $166 in your pocket every month. There are two major steps that you will need to take to take advantage of the opportunity to get a low-rate 20-year fixed rate refinance loan. First, you need to prepare yourself to get a new loan. You will need to compile supporting paperwork like pay stubs, bank statements, and tax returns so that you can meet the lender’s underwriting requirements. Identify and repair any credit issues before you make an application, as well. 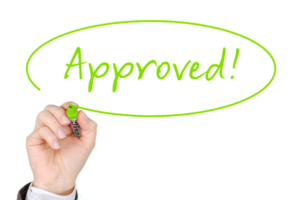 Having clean credit not only increases the likelihood that you will be approved but also gives you a good chance of earning a lower interest rate. The next step is shopping around for the best rate, and the best lender. Many lenders only offer 15 or 30-year products, so you will need to shop around to find a 20-year loan. Working with a qualified mortgage broker or mortgage brokering web site is a great way to do this since it is very likely that your local community bank will not offer 20-year loans. When you are shopping around, try to find a few competing banks for your 20-year refinance. Compare origination fees, closing costs, and other ancillary fees that might change from lender to lender. If rates are comparable across the board, you might select your lender based on their customer service, or branch location accessibility. The 20-year refinance solves a number of problems for homeowners. It helps to conserve cash by offering a low monthly payment. At the same time, its accelerated payment period also lets you get out of debt more quickly than you would otherwise have done by refinancing a 30-year loan with another 30-year loan. 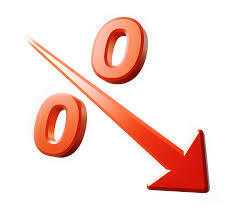 While interest rates remain low, it is an excellent time to look into refinancing your mortgage.